It is definitely not too late to book for this reunion, which is being held close to London and within easy reach of Gatwick and Heathrow airports. Contact Sue Spence for details and bookings using the contact details on the booking form (see below). 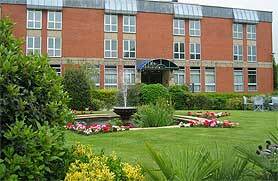 THE 10th BI UK Reunion will be held at the Runnymede Hotel & Spa, Egham, Surrey. This is a family-owned 4-star hotel which lies in a secluded riverside setting on the Thames between Windsor and Staines. There are 180 well-appointed bedrooms and a comfortable lounge and bar area overlooking the delightful riverside terrace and gardens which run down to the river at Bell Weir Lock (negotiated by Jerome K Jerome's Three Men in a Boat on their journey to Oxford). Leisure facilities include a pool and health and fitness centre. By car, the hotel can be reached from Junction 13 of the M25; there is ample car parking at the hotel. London Waterloo is half an hour away by train. It is 20 minutes from Heathrow and one hour from Gatwick and for a nominal charge the hotel will arrange to meet guests at airport arrival gates. Both the Reunion Dinner and the Curry Lunch will be held at the hotel. The hotel has quoted a room rate of £105.00 per room per night inclusive of breakfast and VAT for a two-night stay based on double occupancy. Twenty rooms have been reserved for BI. One-night stays, or rooms with single occupancy, are £78.00 per person B&B. Sixty rooms have been reserved for us for Saturday night. The hotel is accepting bookings now for those who wish to arrange their accommodation. When you call be sure to quote BI Reunion. Contact details are: 01784 436171; fax 01784 436340; email: info@runnymedehotel.com . We'd like to assure you that we always try to keep costs down. To cover those involved in running the reunion, including postage, name badges, stationery, telephones etc, a non-refundable registration fee of £6.00 per person will be charged. This is the first reunion to be held in the London area and will, I hope, be a popular choice with regulars and newcomers alike. If you are intending to join us please complete the BI Reunion Booking Form and return it to me with your cheque for £36.00 per person covering the deposit and the registration fee as soon as possible. Please make cheques payable to BI Reunion – anything else causes problems. The balance will be due at the end of July 2008, after which I cannot guarantee any refunds because the hotel requires payment in advance. I will send out a reminder in May along with confirmation of arrangements and an up-to-date guest list. 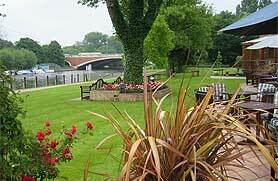 Meet at the Boat House, Bridge Road, Chertsey, a pub suitable for large parties, with a pleasant riverside terrace. This is an informal get-together for drinks, with meals available for those who wish to stay and eat. Would you indicate your interest in this event to give me an idea of approximate numbers. The Boat House is about ten minutes by car from our hotel. Meet from approx 6.30 pm. The Boat House currently has room only accommodation at £59 per night. Tel: (01932) 565644; email: boathouse@galleongroup.co.uk. A private charter for a four-hour cruise on the Thames departing from the Runnymede Hotel's own mooring at 12 noon. We travel towards Windsor, passing Magna Carta Island and the Memorials, Old Windsor, Datchet and the Home Park with excellent views of Windsor Castle. A finger buffet lunch will be served on the cruise and we will return to the hotel by 16.00. Cash bar on board. Cost approx £21.00 per person, based on a minimum of 60. Final cost will depend on numbers booked. Please indicate your interest in this event on the booking form. This will be held in the Royal Court Suite at the Runnymede Hotel. There will be a three-course menu, with dietary alternatives on request, at £45.00 per head, based on a minimum of 150 persons. The price includes a glass of wine, beer or a soft drink at the Reception before dinner. This is a change from the usual pre-dinner cash bar and should avoid the frustrating queues which have occurred at previous reunions where insufficient bar staff were provided. There will of course be the usual pre-dinner wine order service. We shall meet in the foyer area at 19.00 for 19.30. Dress: jacket & tie. Please do let me know the names of friends you wish to sit with, or if you plan to make up a table, indicating your requirements on the booking form. Although you may not yet know who else is going to be there when you book, you can still suggest names of those who you think might attend. It means I can accommodate some, if not all, of your requests and I try to ensure that each of you knows at least one other person seated at your table. This will be held in the Royal Court Suite at 13.00. There will be a selection of four main dishes of meat, fish and vegetables of varying strengths which will be served along with the usual accompaniments, or dietary alternatives, at £25.00 per head, based on a minimum of 100 persons.